Treat your baby boy to an exquisite crib bedding set that will be a shining center piece for your nursery. 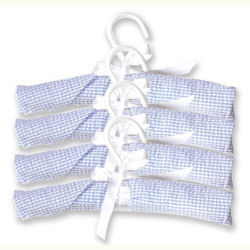 Sky blue and white silk shantung and satin with a white star organza overlay, will bring luxurious comfort every night. 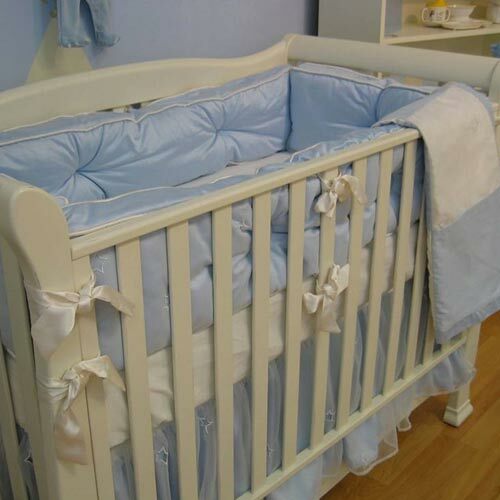 The set includes a box style bumper, a 20" dust ruffle, and a satin crib sheet. It is made custom for you and your baby, what a dream come true.